The Crossroads of the West is the bane of coastal progressives. They view the gun show, which is held multiple times a year on the Del Mar Fairgrounds, as an inappropriate use of taxpayer resources — and they’re not alone. 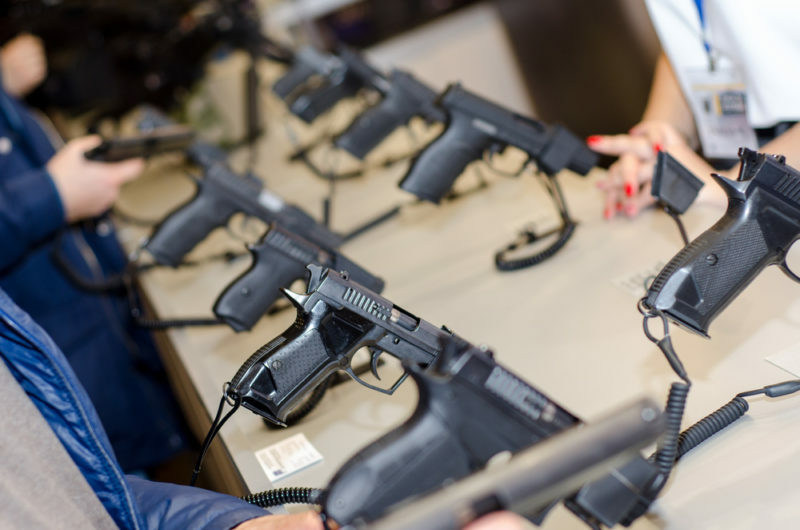 Two members of San Diego’s state delegation are pushing a bill that would prohibit gun sales at the Del Mar Fairground beginning in 2021. Previous governors have vetoed similar bills, but Gov. Gavin Newsom has strongly hinted that he wants Crossroads of the West, and other such gun shows, gone from state-owned properties. As Jesse Marx reports, Newsom recently replaced a member of California’s 22nd District Agricultural Association, which oversees the Del Mar Fairgrounds, because that member wasn’t hard enough on the gun show. Meanwhile, Assembly members Todd Gloria and Tasha Boerner Horvath’s bill advanced out of a committee this week. San Diego is consistently ranked as one of the safest large cities in the country. But a team of reporters from the Union-Tribune dug into San Diego’s crime statistics and found that while violent crime was down in many parts of the city, in other parts it has increased drastically. The reporters found violent crime doubled between 2013 and 2017 within neighborhoods of City Heights, Bay Terraces, Valencia Park, Mount Hope and Midway District. Bishop Cornelius Bowser of Charity Apostolic Church in Logan Heights told the U-T that he’s unsatisfied with the city’s typical solution: sending more police to crime-ridden areas, rather than other resources. City Council President Georgette Gómez, whose district includes Mount Hope, also told the U-T that the community policing strategies in these areas needed to defined better. City Councilwoman Monica Montgomery, who represents some of the areas included in the U-T story, won her City Council race after championing criminal justice reform. Montgomery is now chair of the Public Safety Committee and sat down with KPBS earlier this month to discuss her goals and progress so far. She’s echoed some of Bowser’s concerns and called for a different type of investment in these neighborhoods. In addition to working on police relations, she said she’ll focus on building economic opportunities, getting streets paved, picking up trash and putting in street lights. The San Diego Rapid Response Network is already having nights where its beyond capacity in its new larger migrant shelter downtown, Times of San Diego reports. Since late October, arrivals of asylum-seeking migrant families being dropped off by federal border officials have averaged 50 to 100 people a night. After local service providers scrambled to provide them shelter in various churches because of a change in federal policy, San Diego County stepped in, providing a permanent shelter space in the old family courthouse downtown. But on Wednesday, the shelter was expecting 278 people and luckily, local churches offered to assist with 80 people. The federal government’s practice of releasing asylum-seeking migrants into the country without any support or resources has also been causing issues in other towns along the border, like El Paso. In February, the San Diego County Board of Supervisors voted to sue the federal government over its practice of releasing asylum-seeking families. VOSD’s Will Huntsberry and NBC7’s Catherine Garcia explain how a new state bill would change vaccine exemptions in the latest San Diego Explained. In Thursday’s story on the city’s progress on utility undergrounding, we misidentified the reader who submitted the question that spurred our piece. It was Steve Ravellette. The Morning Report was written by Maya Srikrishnan, and edited by Sara Libby.